No, we are not discussing some plastic surgery that people in Hollyweird may or may not have done. 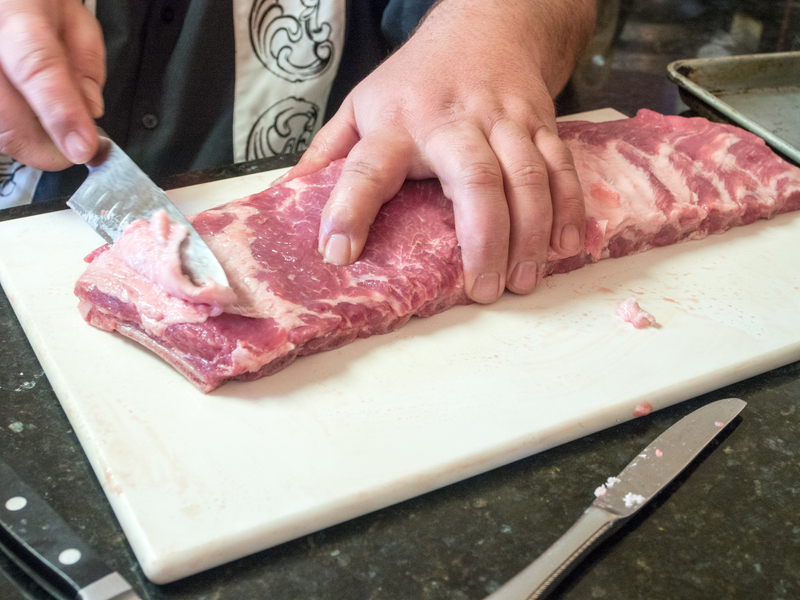 We are discussing trimming ribs so that they look their best on your barbecue. 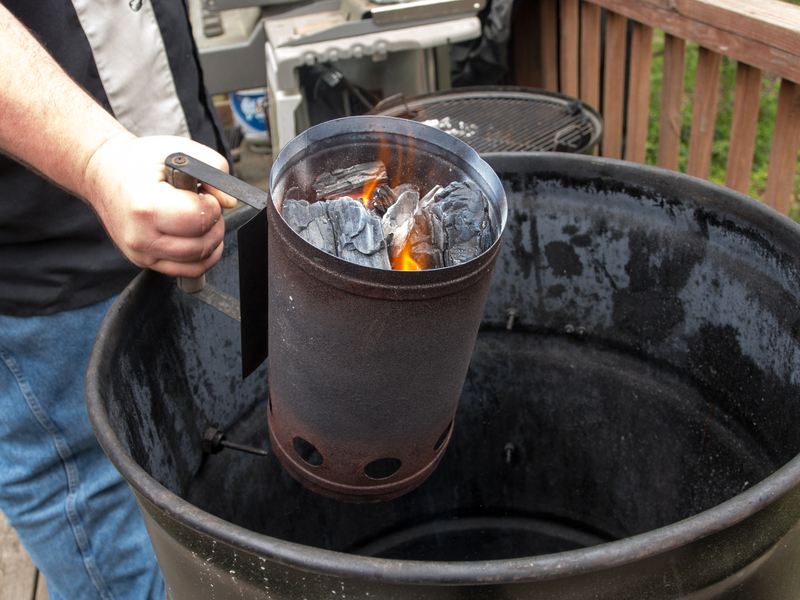 As part of my continuing series on our barbecue competition aspirations, I wanted to share some behind the scenes magic. Using a knife is dangerous stuff, please be careful and take all necessary precautions. 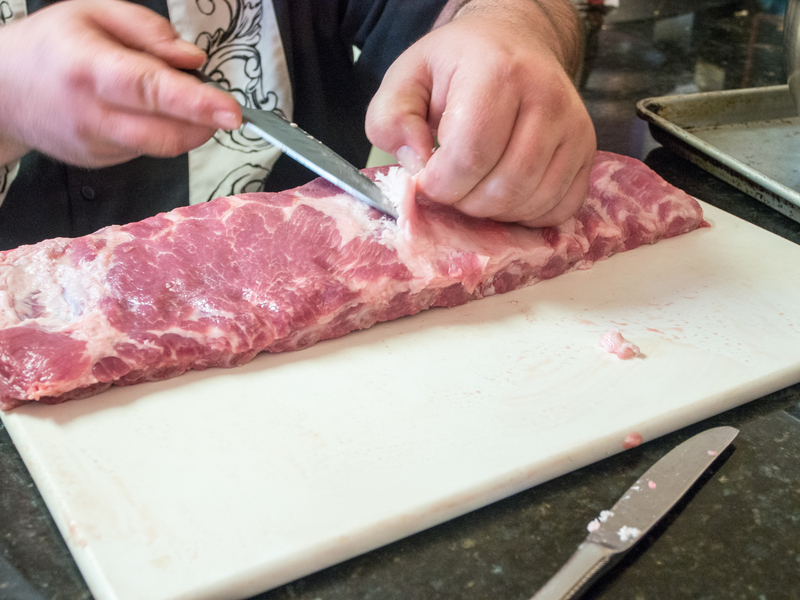 My husband has graciously (and patiently) decided to teach me and my camera the art of rib trimming. 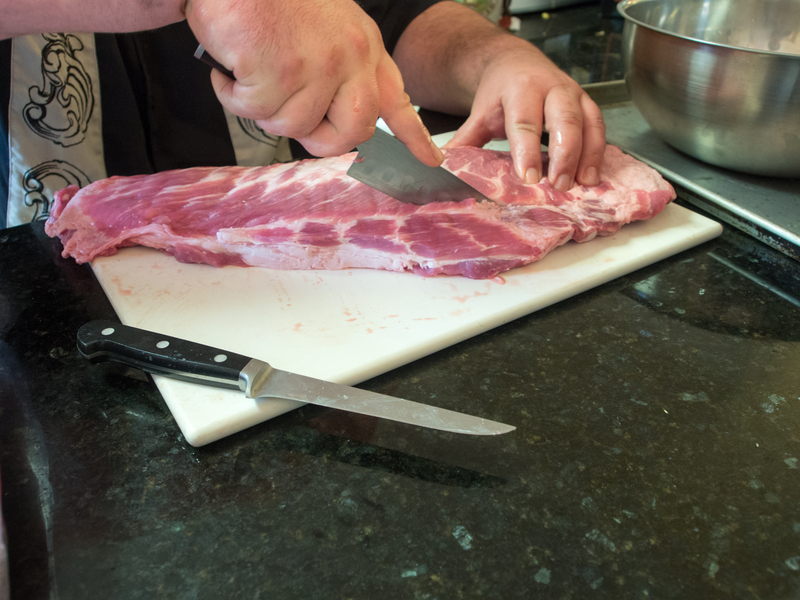 First, please make sure you have a very sharp knife and a great cutting board. Then, you need a bowl to keep those trimmings! Don’t throw them away. I’ll have a post on what to with the trimmings that will seriously blow you mind. It’s awesome. Kind of intimidating and not very “rack of rib” like. 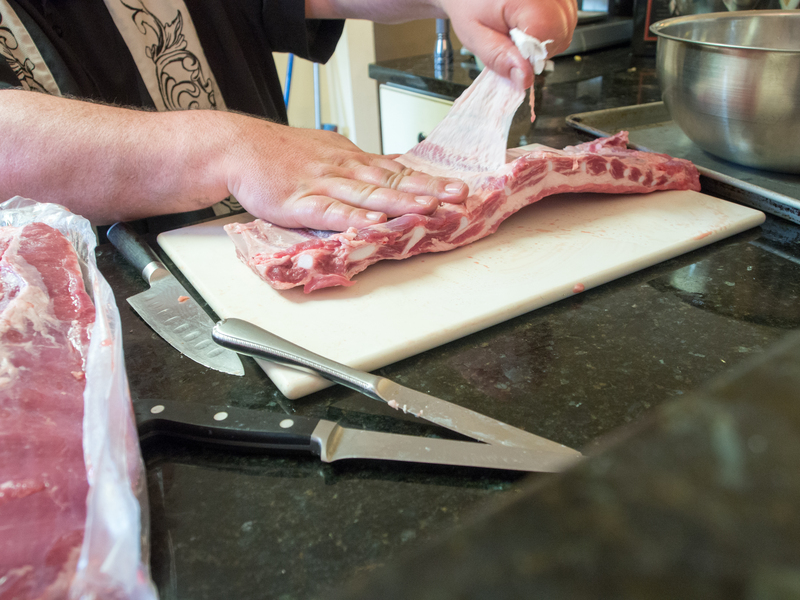 With the ribs facing away from you, remove the top flap of meat with your sharp knife. 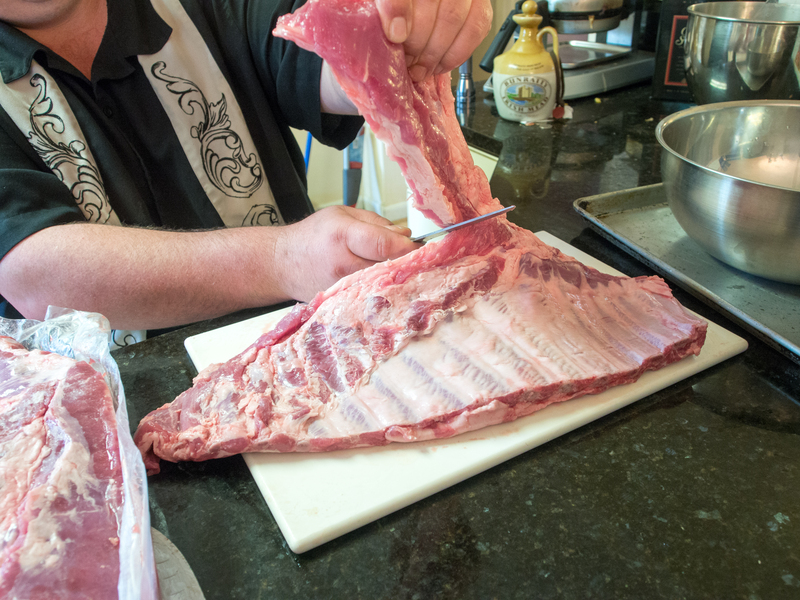 Flip the ribs over and cut through the cartilege so that the extra triangle you see below is removed. The rack should appear more rectangular now. To me, the next step is crucial. 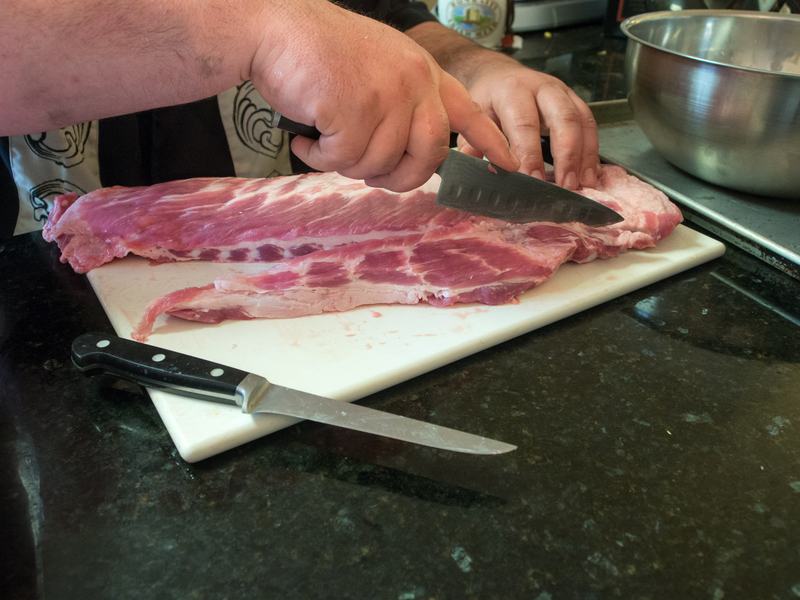 Turn your rack of ribs back over. You’ll see a membrane covering the boney rib part. That sucker has to go. 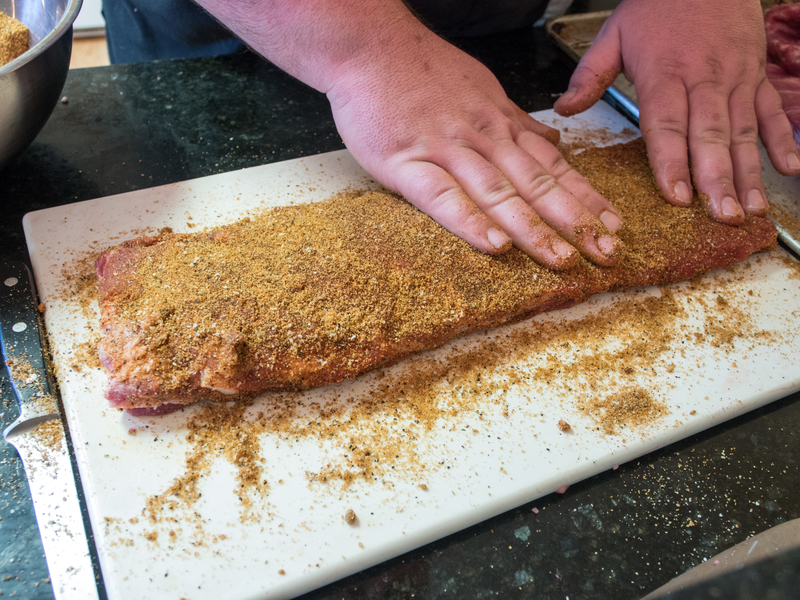 If you don’t remove it, the ribs are tough and your rub can’t penetrate into the meat as effectively. You want to gently insert your knife (or a butter knife, depending on the strength of the membrane) and wriggle a starting piece free. Once you get a decent sized starting piece, the whole membrane will pull free. 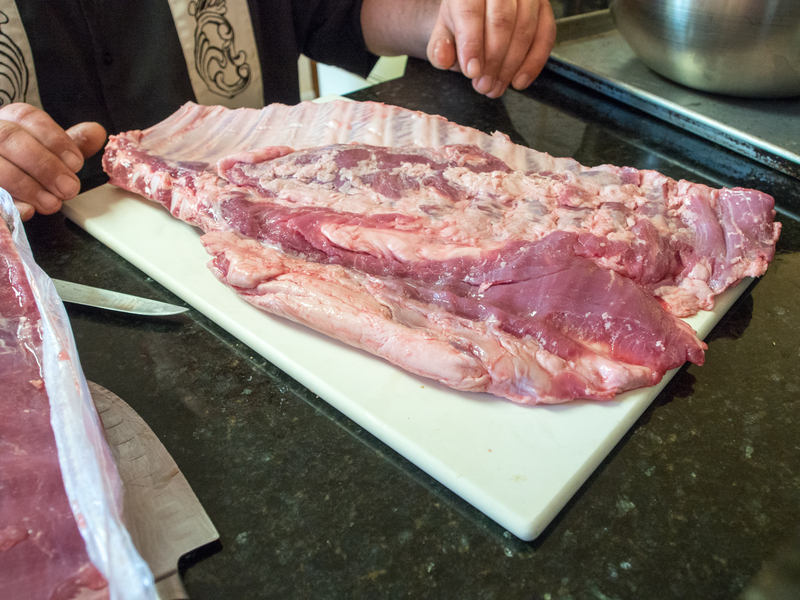 Flip the ribs over and carefully remove any excess fat on the top. 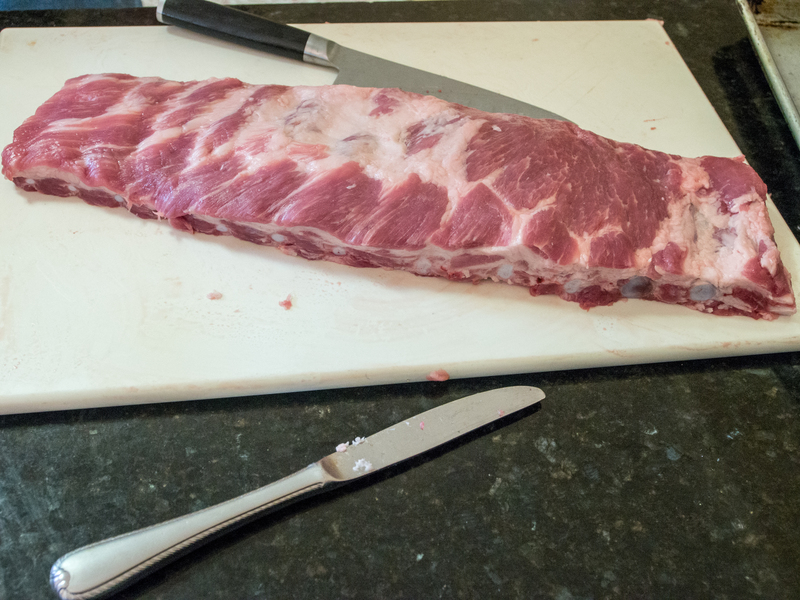 Your ribs should now look amazing and of uniform size and ready for the rub!! Generously apply the rub of your choice. 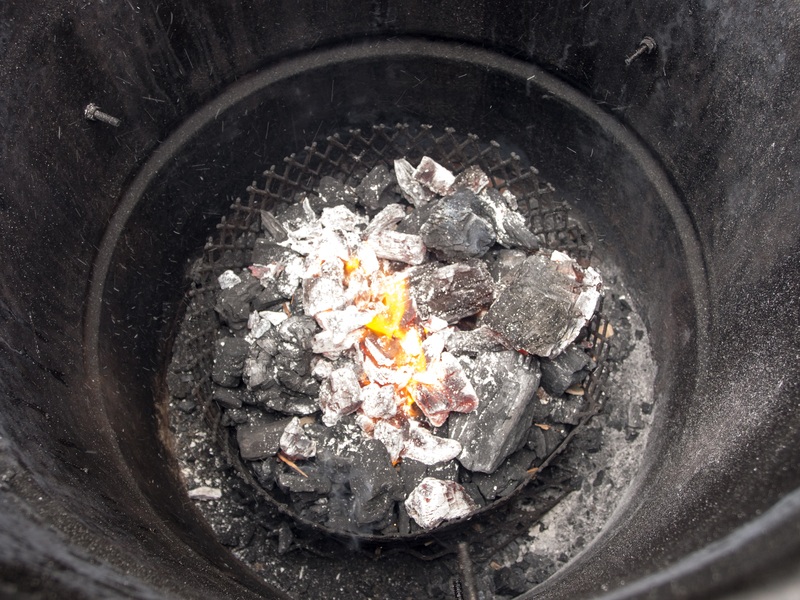 Make sure you have your charcoal and wood chips/blocks are ready to go, and your smoker is at temperature. 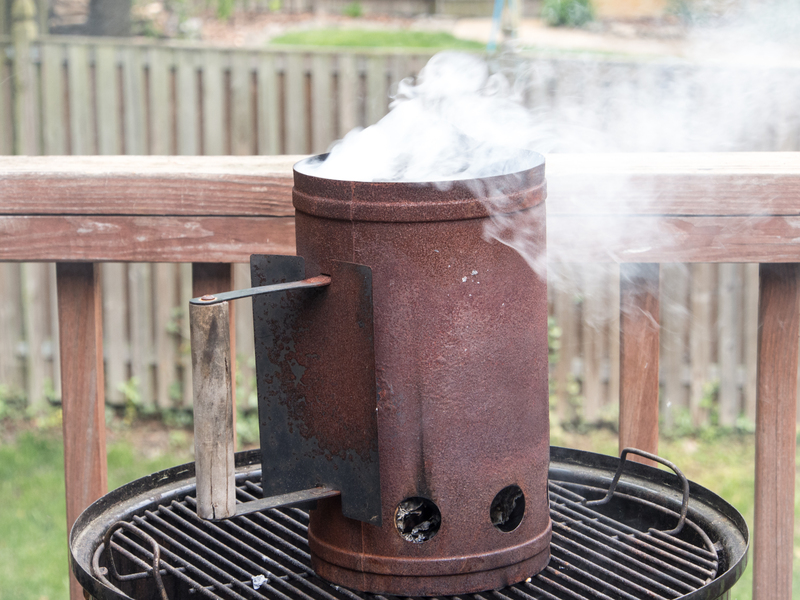 Place the ribs on a rack and smoke for a few hours (2-3) over 250 degrees fahrenheit. Wrap the ribs in foil and return to the smoker for another hour until perfect! This entry was posted in Barbecue Competition and tagged Barbecue, Barbecue Competition, Barbecue sauce, Pork ribs, Rib, trim ribs on April 29, 2013 by dawn of food. 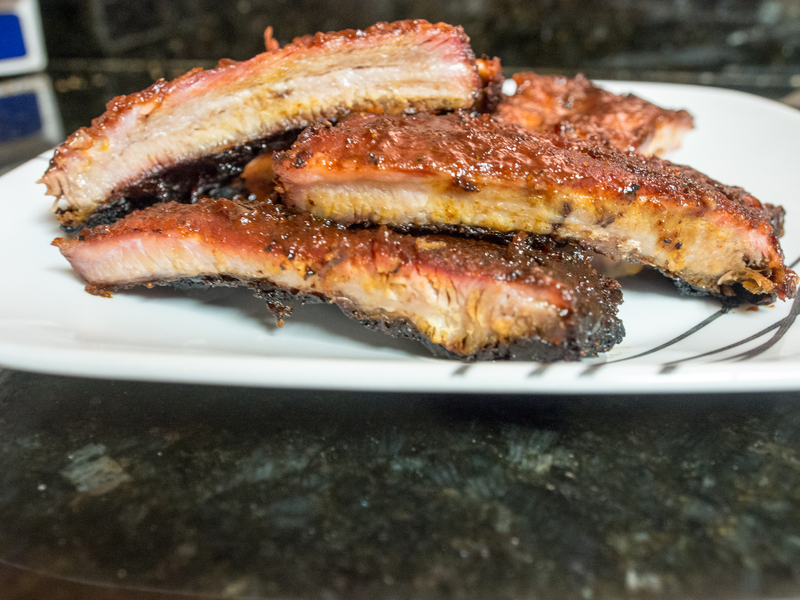 Great tutorial and how delicious those ribs look! Would love a bit for lunch now! 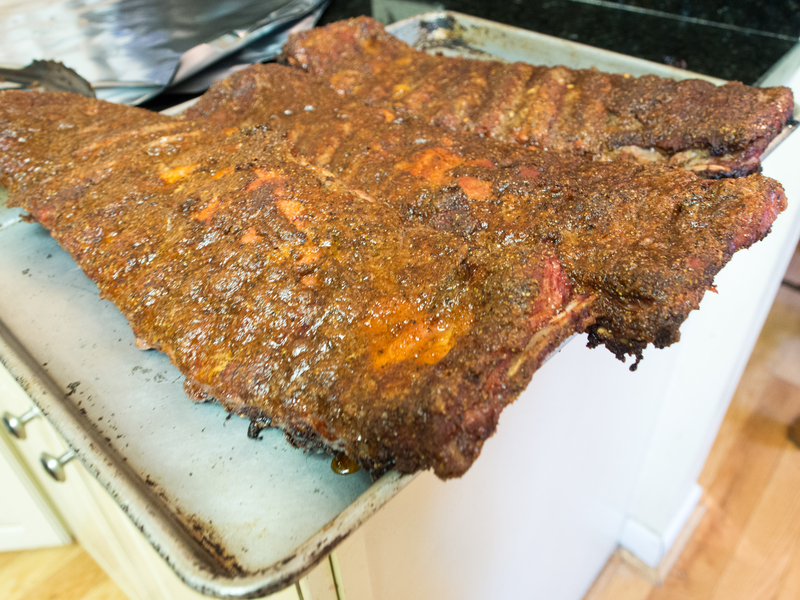 These ribs look so delicious, I’m hungry for lunch. Thank you for liking my blueberry muffins. Have a pleasant day. Thank you very much for stopping by and visiting! !